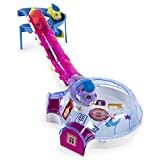 Zhu Zhu Pets Hamsters (also knows as Go Go Pets Hamsters) are a great birthday or Christmas present or gift this year! They have become mega popular recently. Read this page if you want to find out more about the Zhu Zhu Hamster craze! 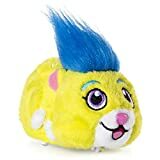 What are Zhu Zhu Pets Hamsters? Zhu Zhu pet hamsters are an interactive motorised toy for children. They are designed to behave like real hamsters and have individual personalities. They can be set to either loving mode or exploring mode. This mean you can either pet them or let them scuttle around the floor or their track! Zhu Zhu Hamsters are hugely popular and are often sold out in most shops within days of them arriving. They really are one of the toys of the year! There is a huge range of Zhu Zhu Hamster accessories including funhouses, wheels, beds, blankets and wheels. The opportunities are endless for you kids to give their Zhu Zhu Pet all of the fun and games they need! Fun without the mess! 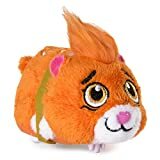 Zhu Zhu Pet Hamsters are simply brilliant! 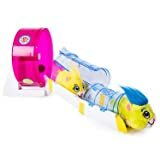 You can buy Zhu Zhu Pets online now using the product links on this page. Enjoy!